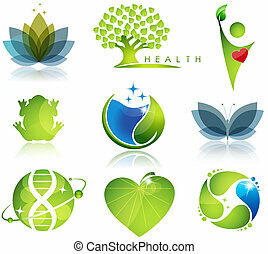 Health nature logo vector. Health nature heart care vector web identity business card. Tree leaf vector logo design, eco-friendly concept. Stunning health-care and ecology symbols. Beautiful harmonic colors. Luxury Gold Lotus plant image. Woman's spa salon logo sign with butterfly. Abstract design concept for beauty salon. Vector logo template. Brochure Flyer design vector template in A4 size. 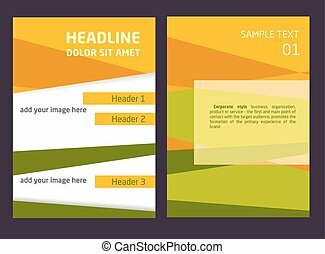 Orange and green abstract background.